Features of the external interrupt that we will use. The interrupt is triggered by an input on RB0, either ( depending on how we set it up ) as the signal goes from 0 to 1, called the rising edge, or as the signal goes from 1 to 0, called the falling edge. This sets the interrupt flag, and if the interrupt is enabled ( and we are not already in an interrupt ) the microcontroller goes to the interrupt subroutine. and the set of the INTEDG bit(6) of the OPTION_REG register simply to select the rising or falling edge, of the signal. When switch is pressed RB0 goes from 0 to 1 causing an interrupt which calls the interrupt() routine. The interrupt routine increment the value of PORD by one. Hi, you can simplify the HW and thereby save R2 by configuring RBPU (Pullups on Port B) and using the switch to pull RB0 to GND instead to Vcc. Then INTEDG needs to be set to zero to interrupt on keypress. Nice information about the microcontrollers which comes under embedded projects. PIC microcontrollers are used to perform various number of tasks. They are used in alarms,control systems,phones,etc. 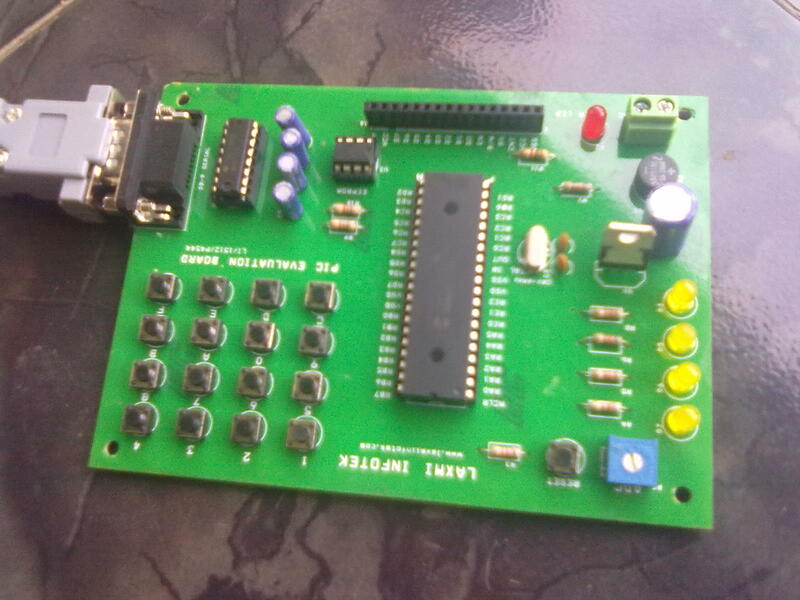 This microcontroller has special features such as flash memory, Data SRAM, Data EEPROM, Watchdog Timer,etc.